Creating a tshirt business is no little task, it requires a high level of commitment to materialize your ideas into products people are actually willing to pay for. So if you already made that first step and launched your brand, make sure you also dedicate some time to promote your tshirts. Due to its instantaneous nature, social media offers some of the most effective channels to reach your audience in real time. Contrary to common belief, there’s no need to spend lots of money on paid campaigns for Facebook and Instagram, you just need to do it wisely. Over this quick post, I’ll go over some tips and best practices to make the most out of your social media channels to get your brand out there, without breaking the bank. Make sure your profiles are up to date with basic information on the brand, products and promotions you may be holding at the time. With updated cover images, profile pictures and overall graphics your brand will speak for itself, allowing your visitors to get all the information they need upfront. 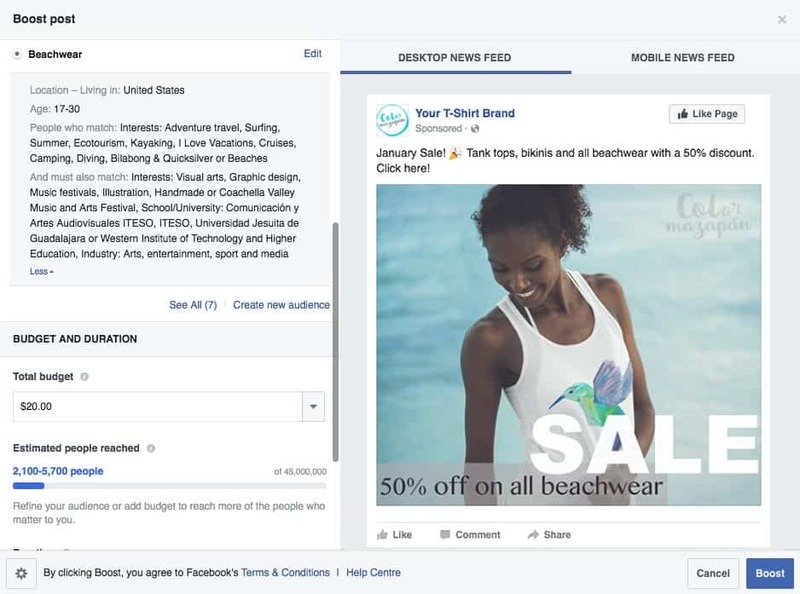 Facebook allows you to build different audiences and use these for creating adverts that target specific groups of people. For example, if you are selling heavy metal tees, it only makes sense to target users with musical interests, hobbies and activities related to that. Prepare to spend some time on this, it will be worth it. It’s important to become an active member of the community. 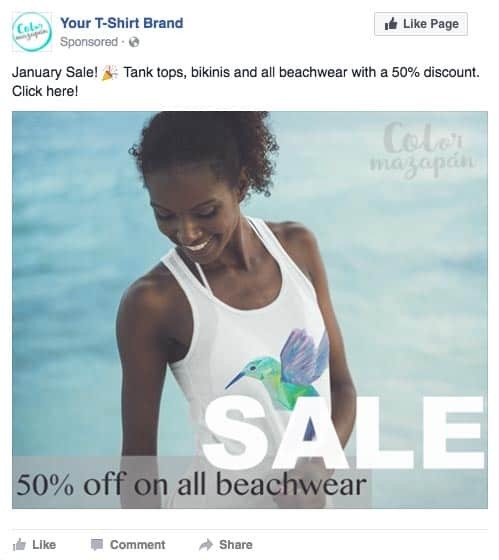 Use facebook groups and forums not just to connect with potential customers and partners, but also with other t-shirt sellers like you. 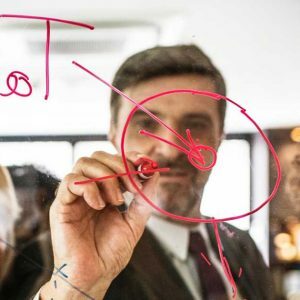 If you sell your designs on the different P.O.D sites, make sure you interact with your peers, this way you will get a real insight on best practices. Got a new design? 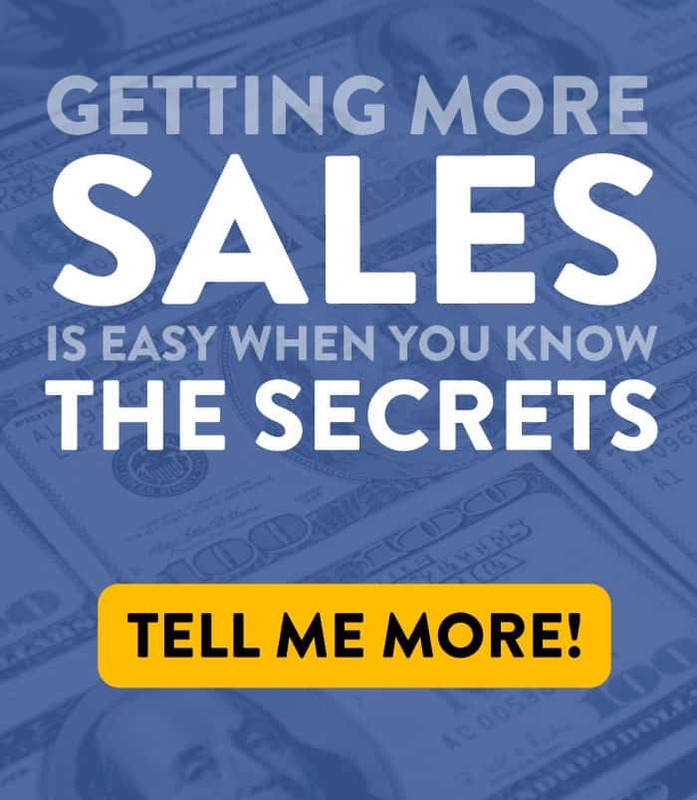 Make sure to share it on all your social media channels as soon as it’s up and running, linking to the actual item is a great way to drive traffic to your shop. Use tools like Hootsuite or Buffer to schedule your social media posts in advance, this way you’ll make the most out of each channel and remain consistent with your posts. Frequent sharing makes your audience’s interest in your brand growth and makes them more likely to convert. Tip: work in progress pots are a good way to get your customers involved. I can’t emphasize this enough, visuals are what turns facebook followers into converting customers. Having striking imagery will draw the attention of potential clients you reach through paid advertising and it will also make your brand stand out organically on social media. Find a path for creating compelling visuals that works for your business; whether you take the pictures yourself, hire a model and photographer or use a mockup tool that does all the work for you, like Placeit. This apparel mockup tool allows you to create photos and videos to promote your tshirts in seconds, give it a try and get a 15% off on single purchases forever or on the first month of any of the subscription plans. So there you have it, a couple of quick tips that will help you make the best out of social media for promoting your t-shirt business. When creating and sharing content, always keep your final customer in mind and then try and trace back on a good and organic way for them to interact with your brand. Most importantly, don’t force your brand into the conversation, keep all communication as natural and human as possible. Ana Gonzalez is Partner Development Manager at Placeit. She majored in communication sciences and specializes in SEO and Digital Marketing.